A well-known suburb of Charlotte, the community of Fort Mill is located outside of North Carolina. 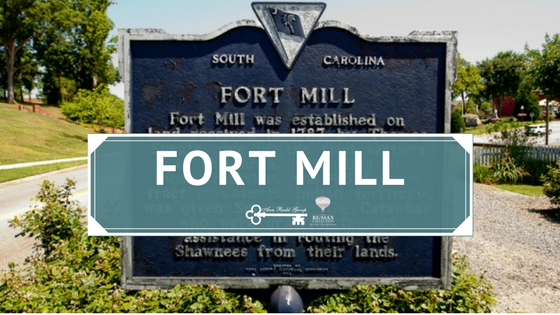 Just a quick drive away from the city, Fort Mill is located in the northernmost part of neighboring state South Carolina. Getting the best of both worlds you can enjoy the delights of Charlotte all the while staying away from the hustle and bustle of the big city. Located along the I-77 corridor, Fort Mill is considered one of the fastest growing towns in South Carolina. The community is warm and inviting allowing one to easily set up shop in Fort Mill and live like a local in no time. The economy is thriving; mom and pop shops are abundant, standing toe to toe against the corporate offices. Homes in Fort Mill comes in a wide range of price points to appease any and every homebuyer. The most affordable real estate in the area can begin around $1500,000, with the most expensive options going up to $1,000,000 and more. Some of the housing options available in Fort Mill include single-family homes, townhomes, apartments, condominiums, and luxury real estate. If you are interested in building your own home Fort Mill is more than accommodating with its abundance of vacant land and farms. Families will be more than happy with the neighborhood as the school district has an A+ rating according to https://www.niche.com/k12/d/fort-mill-school-district-sc/. Homes For Sale in Fort Mill Here.